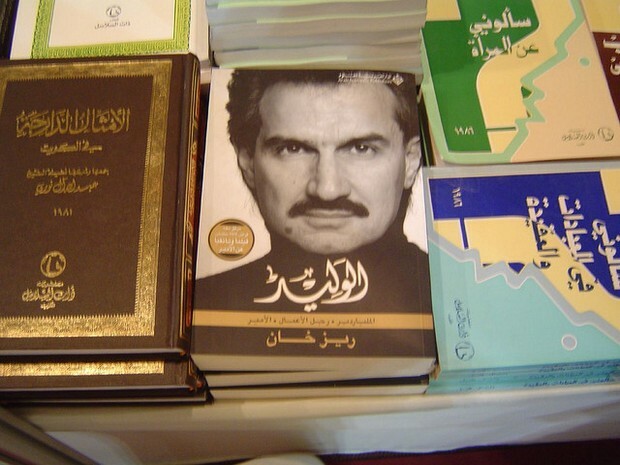 Prince Alwaleed Bin Talal of Saudi Arabia announced a $300 million investment in Twitter today. Alwaleed is one of several mega-investors to have pumped serious cash into Twitter in 2011; however, there are fears Alwaleed will censor Twitter. These fears are mistaken. Following months of rumors, Prince Alwaleed bin Talal of Saudi Arabia formally announced a $300 million investment in Twitter. The move is a huge bellwether for Twitter, which is continuing to stall an eventual IPO thanks to several similar mega-investments. Prince Alwaleed (or, as he’s properly known, Prince Alwaleed Bin Talal Bin Abdulaziz Alsaud) is the nephew of the King of Saudi Arabia and the 26th richest person in the world. The royal is a promiscuous investor whose assets include 14.9% of Citicorp, a huge chunk of News Corporation, and a massive real estate portfolio. However, there are concerns by some net activists that Alwaleed’s investment could spur a clampdown on Twitter’s role in protests worldwide. These concerns are largely mistaken. Comments by prominent net activists, journalists, and public intellectuals on Twitter and elsewhere indicated apprehension about Alwaleed’s decision to buy a $300 million stake in the microblogging servce. GigaOm’s Mathew Ingram asked what will happen if the Arab Spring hits Saudi Arabia. Stanford University’s Evgeny Morozov greeted the news with the implication that it could prevent a “Twitter Revolution” in Saudi Arabia. Discussion by Arabic-language bloggers has speculated on possible conspiracy theories; however, most Arabic Twitter traffic today has been dedicated to the ongoing unrest in Egypt and Syria. Although Alwaleed does not appear to use Twitter, his wife is one of Saudi Arabia’s most popular Twitter celebrities. Princess Ameerah has over 80,000 followers and tweets in both English and Arabic. Today, her Twitter feed consisted of mostly Arabic-language tweets that attempted to provide damage control for her husband’s new project. In a series of Arabic-language retweets and original tweets, Ameerah emphasized the talking point that Alwaleed’s investment would not restrict free speech on Twitter. One tweet mentions that Alwaleed did not attempt to change News Corp.’s content and another noted that Alwaleed would control under 3% of Twitter’s total finances. On several closed-circle bulletin boards catering to new media activists working in the Middle East, experts largely played down any threat that Alwaleed’s purchase would have to freedom of speech on Twitter. The Saudi prince bought his Twitter stake on the secondary market and the valuation that Alwaleed purchased at is unknown. It is unlikely that Alwaleed’s purchase will usher in a dark age of politically and religiously motivated censorship on Twitter. Despite his prominent role in the Saudi royal family and his country’s famously medieval interpretation of Islam, Alwaleed’s true faith appears to be capitalism–he has a knack for bankrolling steamy Fox television shows and alcohol-serving five-star European hotels. Saudi Arabia already has one of the world’s most extensive Internet censorship systems–blocking Twitter inside the kingdom would be a piece of cake. More importantly, Alwaleed clamping down on Twitter content makes absolutely no sense. Three hundred million dollars is an extremely considerable sum to invest in any business venture. The risk of Alwaleed’s investment is only accentuated by the fact that Twitter has yet to unveil how they actually plan to make a profit. For Twitter–the microblogging service of “#tittytuesday” and the Arab Spring alike–it would make no sense to drive away the site’s users for any reason whatsoever. Alwaleed is a gifted and agile businessman; it would make no sense for him to clamp down on Twitter’s content or to introduce politically or religiously motivated censorship.